Construction of the building shell is complete for a new neighborhood style shopping center at 12930 E. Mansfield Ave. in Spokane Valley. And, now that the building is up construction can now get underway for the tenants that will occupy the new 7000 square foot structure. The center is along Mansfield , by the Granite Point Apartment complex and walking distance from Centerplace Event Center and the YMCA. This will be the third location of Brothers Office Pizzeria which also operates locations in Liberty Lake and further south in the Valley. Brothers Office Pizzeria says they are a family ran business with handcrafted pizzas, sandwiches and more. Their locationS also have beer, wine and spirits. Specialty Training, Inc. a fitness center / personal training business will relocate their Valley location to two of the bays within the new shopping center. They also plan to keep their original location in the Downtown's Paulsen Center building open for business. Specialty Training,Inc. is planning to be open there by Oct. 1st . With full facilities and classes. The for lease sign also remains out front of the building implying that the two businesses won't occupy the whole building. Leaving some space likely still available for another business to open there. SDS Realty,Inc. 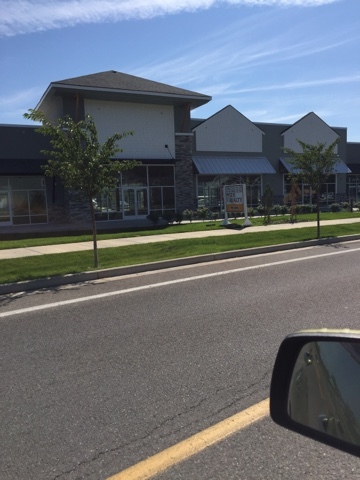 is the listing agent of the center and with over 1000 residential units now within a half a mile of the building this space is perfect for many different types of neighborhood businesses.